Mondays frosted morning of beauty. One of the most beautiful days I have seen. The Hoar Frost on everything continued almost till noon around Kalida. It was unbelievable scenery and again Gods wonder. The blue sky was unreal. 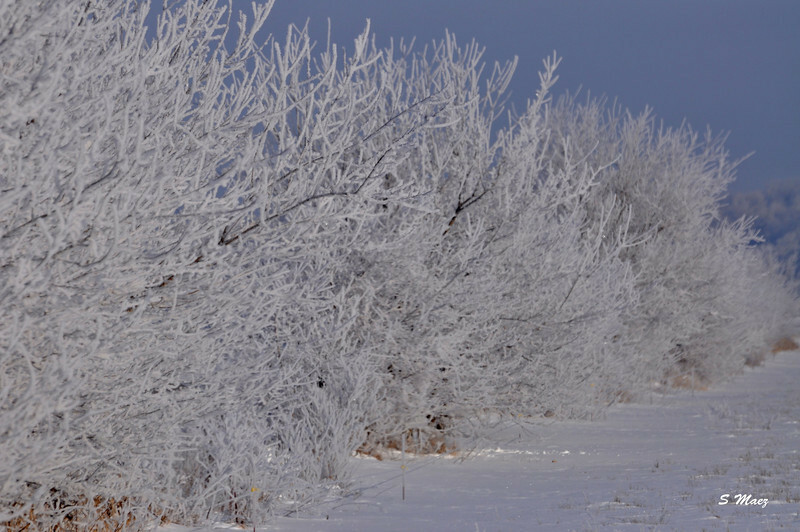 Hoar frost is the tiny solid deposition of water vapor from saturated air which occurs when the temperature of the surfaces is below freezing point. It occurs generally with clear skies. Boy was it clear and radiant. Just a great morning out shooting with my best friend so it didn't really make much difference what we found, Scott and I were enjoying the outing. These crystals are unbelievable, and so crystal clear! lol You have such a great eye! I love them all!